These tri-tone logo business cards were printed for Auto & Home Insurance Agency, Inc. They feature a tri-tone logo that can only be replicated accurately on specific types of printing presses. The super-thick 130# Classic Crest Solar White Super Smooth stock exudes a high-quality feel. Our team has worked with Auto & Home for nearly a decade to maximize the cost-effiiciency of their print and promotional product purchasing. dream ink provides tri-tone logo business cards, letterhead, labels and more for their office located in Downers Grove, Illinois. Did you know a business card is often the first piece of marketing someone will see from your company? dream ink offers tri-tone logo business cards with design and printing services that help your brand make a lasting first impression. Whether you need a high-quality, high-impact business card design and printing, or other print collateral to build your brand, we can help! Our team has almost two decades of experience working with companies just like yours to maximize their print promotions. Want to learn more about the benefits of a creative business card design and printing? Check out our blog post on why a unique business card generate conversation- and conversions. Click here to learn more. 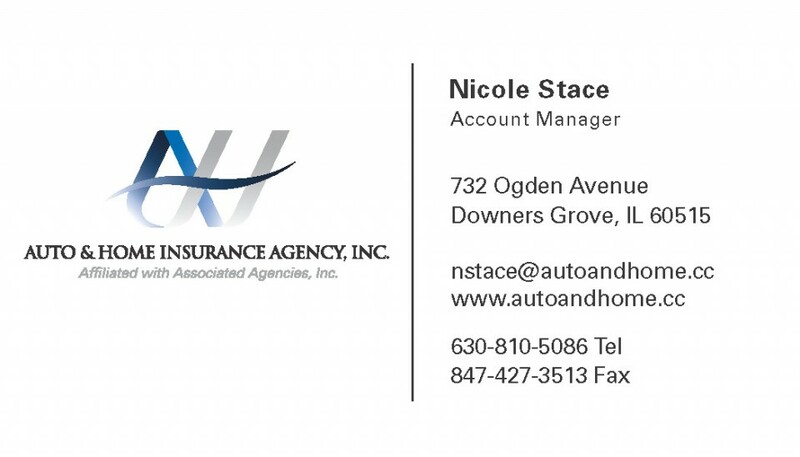 Client: Auto & Home Insurance Agency, Inc.